*Only for Xp and Vista users. 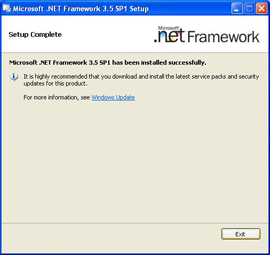 Microsoft .Net Framework 3.5 sp1 that is necessary to run LoiLo software. 1. Click the link below to download the file. 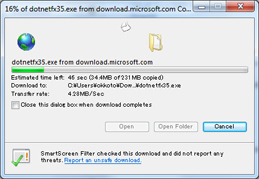 copy the following link in to your web browser and download the file. 2. Select the location you would like to save the file to. 3. 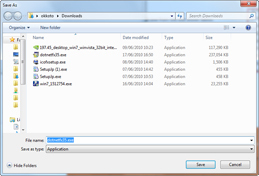 Once your download has completed, click on “Open Folder”. 4. 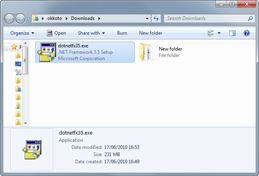 When the folder is displayed, double click on the dotnetfx35.exe file to start the installation. 5. Please wait while the components are being installed. 6. 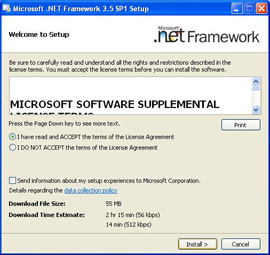 When the setup screen is displayed, check the “Accept” box and click on the “Install” button. 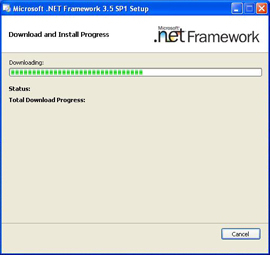 *Depending on your PC environment, the installation can take anywhere from 30 minutes to 1 hour. 8. 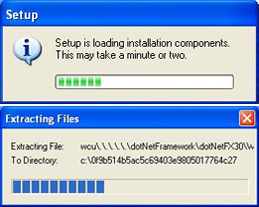 Once the setup is completed, click on the “Finish” button to complete the installation. 9. 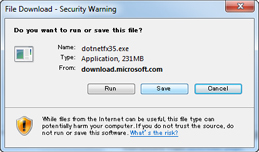 Run the LoiLo software installed on your computer. please contact Microsoft, or your computer manufacturer.